All WILSHIRE PLACE homes currently listed for sale in Phoenix as of 04/19/2019 are shown below. You can change the search criteria at any time by pressing the 'Change Search' button below. "GORGEOUS!!!! 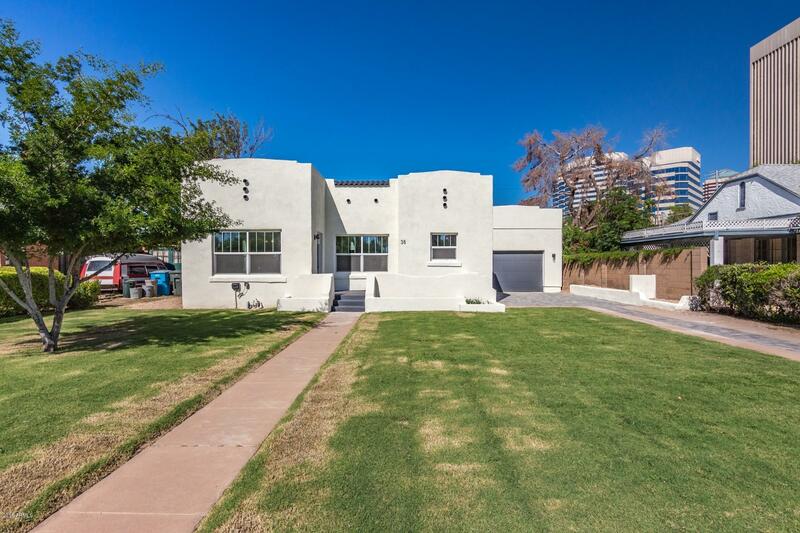 REMODELED 4BDRM/3.5BATH HOME LOCATED IN DOWNTOWN CENTRAL PHX JUST 1 BLOCK FROM HISTORIC DISTRICT!! OVER $300K IN UPGRADES!!! WATER RESISTANT WOOD FLOORS IN BDRMS & BATHROOMS + STAINED CONCRETE & ORIGINAL BEAMS - GRANITE CNTRTOPS, ALL NEW SS APPL, UPGRADED LIGHTING & PROPANE GAS FRPL IN FMLY RM - AIR TUB IN MSTR BATHROOM & SEP SHOWER - BRAND NEW PLAYPOOL, $10K IN PLUMBING. $7K IN ELECTRICAL, TANKLESS WATER HEATER + BRAND NEW A/C UNIT IN 2018 - ALL ASBESTOS REMOVED IN HOME ($20K )- AR"
"Have the best of both worlds!Own a piece of history in the popular Willo Historic District with all the luxury of modern amenities and finishes! This 1928 bungalow has undergone a fully permitted renovation and new construction addition.Enjoy a new roof, A/C, electrical system, plumbing, water heater, and windows, and garage. The upgraded designer finishes will make you say WOW. Come experience this charming and modern masterpiece for yourself. This spacious home is ready for you. Nothing was m"